Phone, send an email, or submit a Quick message. 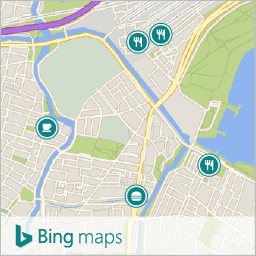 The Old Town, built in the Middle Ages, is a pedestrian area. Delivery transports are allowed early mornings, and some locals have special permits. Access to the Old Town is through one of 7 gates. We will pick you up by St. Athanasios Gate (next to St. Francisco Church) with a golf buggy or a luggage trolley on your first arrival to help you find the way. Off season a taxi can take you to the Hamam (3) just 50m from the hotel. 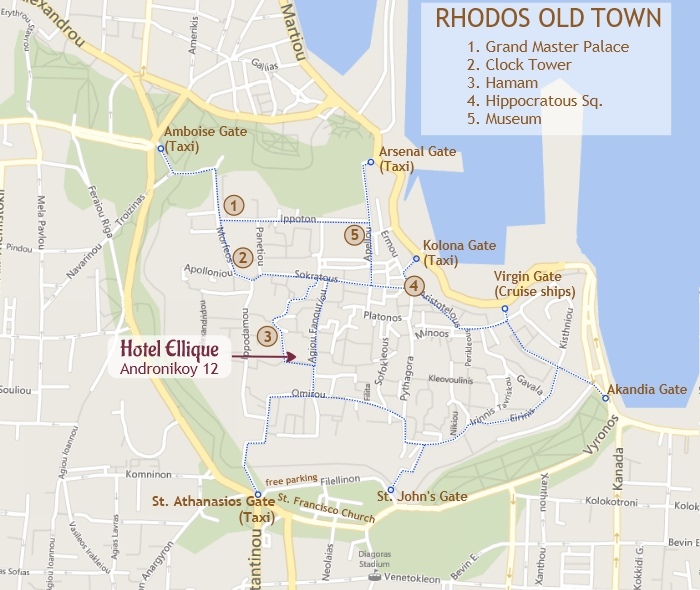 Rhodes airport is only a 25 minute car ride from the centre of Rhodes town. You can contact us in advance to have a chaufered car waiting for you, or you take any of the many taxis always available just outside the arrivals terminal. The standard price by taxi to St. Athanasios Gate for the summer of 2018 is €25 (aproximately £22 or $31). 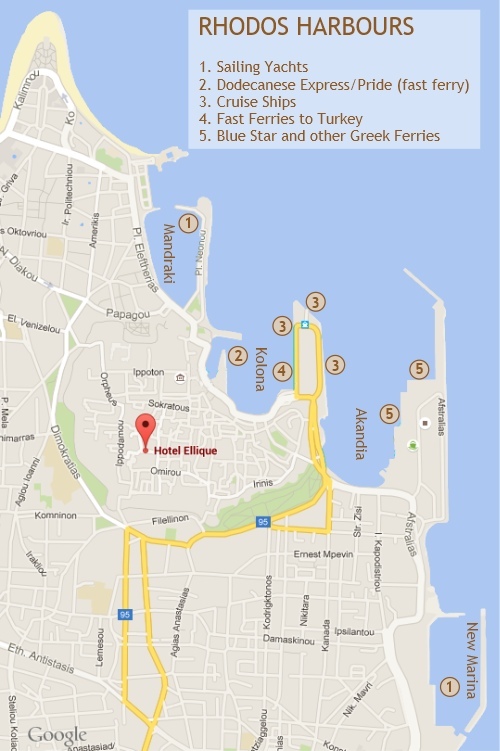 There are a number of ways you can arrive to Rhodes by boat. Most domestic ferries (5) arrive in the Akandia Harbour to the East of the Old Town. The Dodecanese Express & Pride (2) fast ferries however arrive just outside the Kolona Gate. If you arrive from Turkey (4) the ferries dock at the same pier as the cruise ships and you will have to clear customs. You can also arrive on a private yacht (1) in which case you will end up in either the old Mandraki harbour in the centre of town, or the New Marina just outside town.